Hello friends! Can't believe it's been 2 weeks since our last post. We were out of town this past week to see my sweet Grandmother and Leigh's Great-Grandma laid to rest. 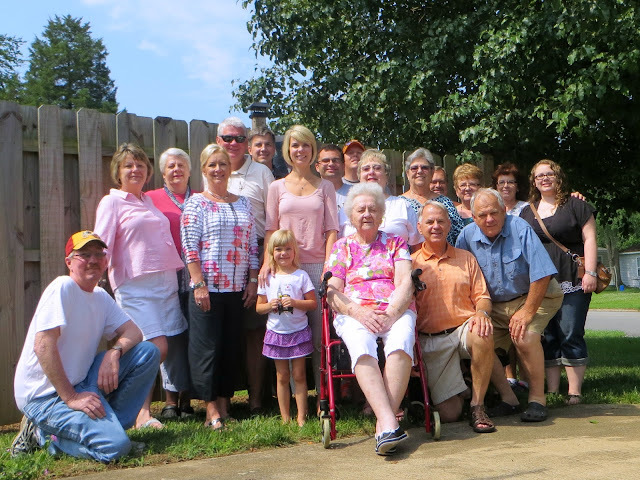 We were with her in June to celebrate her 90th birthday and what a blessing it was that we could all be together one last time. When we got back this week, I decided that it was time to take down the July 4th wreath and replace it with something in honor of Grandma Rhodes. Sunflowers for her sunny disposition and a cross for her unwavering faith in God. Here is our last family picture with Grandma. "When We All Get To Heaven"
Sing his mercy and his grace. He'll prepare for us a place. We'll sing and shout the victory! Onward to the prize before us! We shall tread the streets of gold. 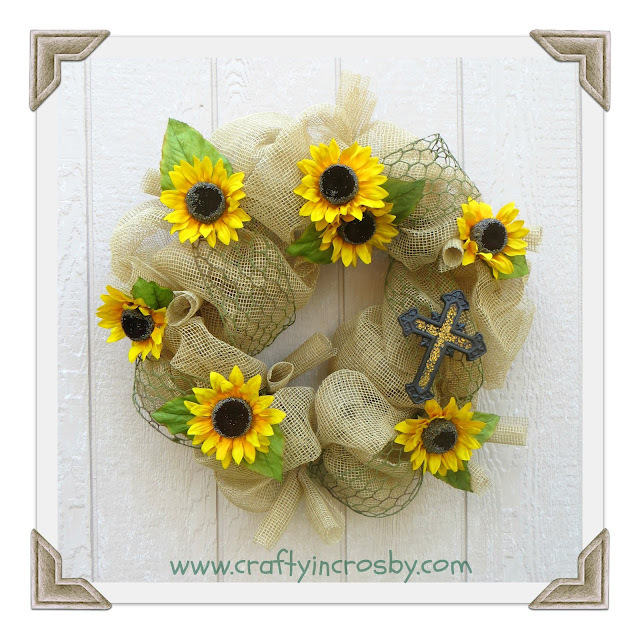 The wreath you made is so nice and especially in honor of your of your grandmother. So sorry for your loss. Thanks so much Julie. My Grandma Rhodes was a very special woman and we were blessed to have her. Hope you have a great week! 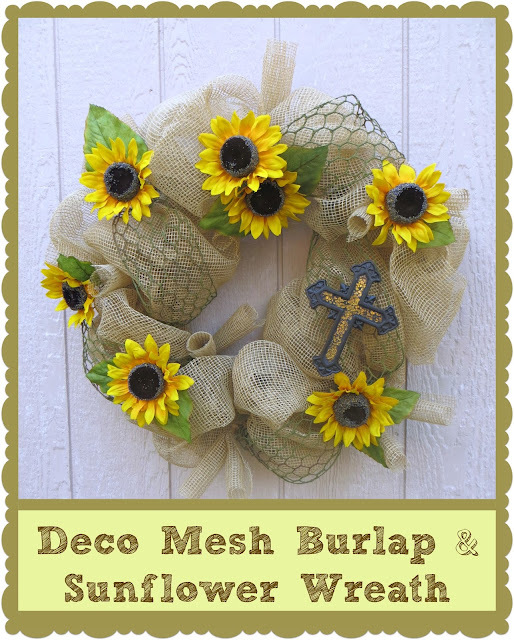 Beautiful wreath- I love that it's a tribute to your grandma! How fantastic the family was able to celebrate her 90th b-day this summer. What a blessing for you all! Everytime I look at this wreath I am reminded of just how truly we were blessed to have her for 90 wonderful years! Thanks for dropping by and come back soon! They just make me smile when I see them! Our family has always had a thing for sunflowers! 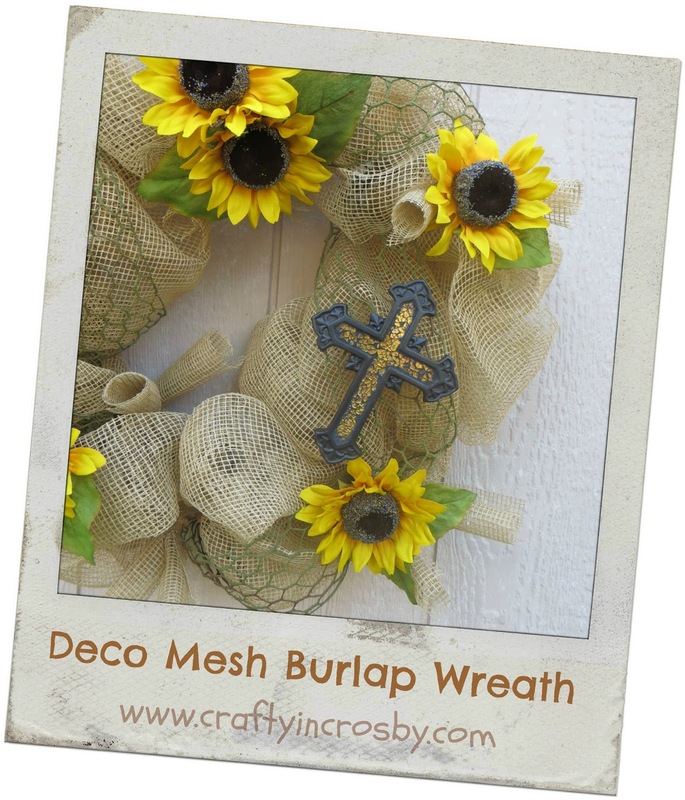 Love wreaths i've been thinking about putting a new one on our front door. 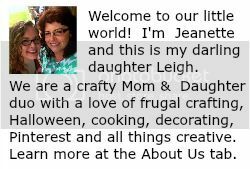 I would love if you would link this up on our blog @ http://thekoenigscreate.blogspot.com/2013/08/mid-week-link-up.html We have a link party going on now till Friday. Thanks for the invite Jamie! We linked up and I'm following you via Bloglovin now so that I can party with you next week! Ours too Barbara! I love how rustic the look on the wreath, yet elegant too. Thanks for hosting the fabulous party! Hoot, Hoot! Halloween is on the way!